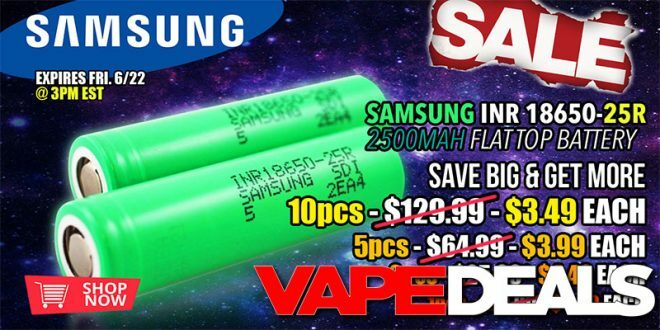 The team over at Fuggin Vapor just announced that they’re bringing back the Samsung 25R Battery deal! If you missed out on the previous sales, here’s another chance to stock up at some incredibly low prices. This is one of those buy-more/save-more type of deals. You can buy 1 for $4.99, 2 for $8.89, 5 for $19.95, or 10 for $34.90. So, if you buy 10, you’re lookin’ at just $3.49 each! 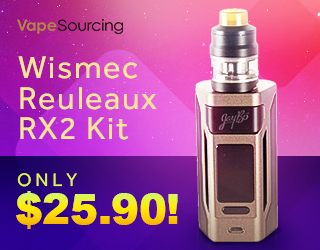 This sale officially ends tomorrow (6/22) at 3:00pm EST. Stop by before it’s too late.